With two round vessels conjoined together, this is known as a "Double-union (shuang-yuan) Treasure Chest." 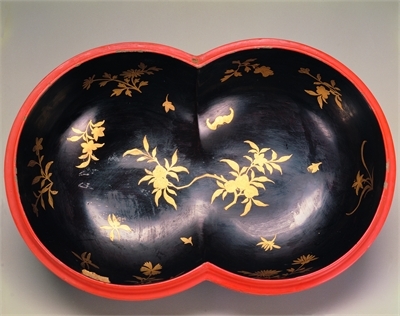 The surface was applied with two kinds of colored lacquer. The bottom of the box is dark yellow in color, while the top is in bright red. When carved, it gives the decoration a dual-color scheme. The panels on the surface are carved in relief with images of tribute, while the inside of the object is coated in dark red lacquer, with flowers painted in gold pigment. 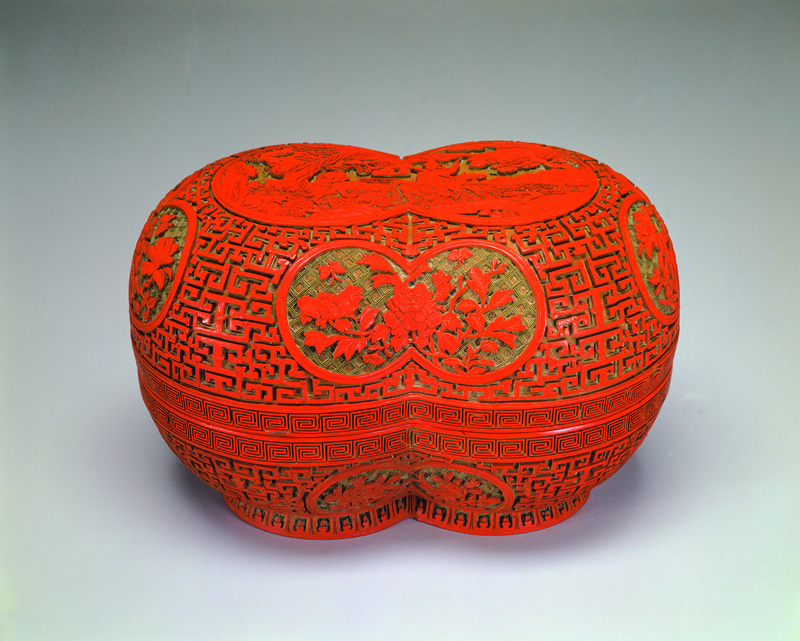 The interior of the foot of the vessel is also painted in dark red lacquer, bearing inscriptions engraved and filled with gold pigment that reads "Double-union Treasure Chest" and "Made in the Qianlong Reign of the Great Qing Dynasty."